DUI charges are serious. Most state licensing boards now automatically receive notification of criminal proceedings against their license holders as a result of online database connections between state and local government agencies now possible with the internet. Being accused, arrested and/or convicted of a DUI can put your California professional license and hard work building your career and reputation, all at risk. If you are a California professional who has been arrested for a DUI, it is imperative to hire a licensing attorney with expertise in both criminal law and professional licensing law who can uniquely understand the impact of a DUI on a state professional licenses across practice areas. This attorney will be able to optimally represent you throughout the DUI process and appropriately manage the disclosure of DUI actions to your state licensing board or licensing authority so that you are protected. 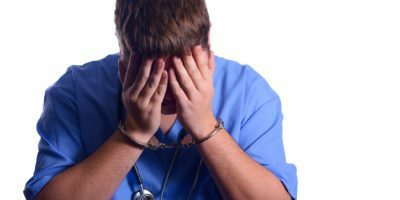 If you are faced with criminal charges as well as revocation or suspension of your professional license, you need to hire an attorney who has experience handling both criminal cases and licensing defense. Lucy S. McAllister is that attorney in California. Her deep expertise working in criminal defense as well as licensing law enables her to be a valuable client representative for clients with a DUI charge. Often the outcome of your DUI criminal case has significant implications for the outcome your licensing case. Don’t be fooled by criminal attorneys who say they can “help” with your license defense case when they have no expertise in this area of administrative law. After a DUI conviction, your licensing authority may file an accusation against your professional license calling for revocation or suspension of the license. Making appropriate disclosures of DUI arrests and convictions to licensing authorities within required time frames and minimizing disclosure mistakes are critical to minimizing disciplinary repercussions. 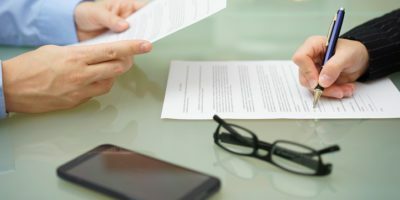 A professional licensing attorney can also assist a professional decide when, if, and how to disclose a DUI arrest or conviction to their employer. A “wet reckless” (Vehicle Code 23101 and 23103.5 VC) is a plea bargain stemming from a California DUI charge. An attorney with expertise in both criminal law and professional licensing law uniquely understands the impact of a DUI on licenses across different professional practice areas, from nurses to car dealers, teachers to accountants. A good licensing attorney who knows criminal law can work hard to get a DUI criminal charge reduced to a wet reckless. And while a DUI conviction may result in a license revocation, probation, and heavy fees, a wet reckless conviction can result in only a citation and fine being issued by a licensing authority or board rather than formal disciplinary action. A DUI conviction is a violation of the law in most professions as stated in the California Business and Professions Code. Regulations which specify the implementation of the law appear in the California Code of Regulations. After a DUI conviction has been disclosed to your licensing board, the authority may file an accusation against your license calling for revocation or suspension of the license. An experienced licensing attorney can work with you to make sure you can get your license reinstated, speeding you back to work and back to the profession you are so passionate about, protecting your career and our livelihood. If you have been accused of and arrested for a DUI or have already been convicted of a DUI but are applying for a professional license charges or your California license has been placed in suspension, revoked or your application for a professional license has been denied as the result of a DUI, contact the law offices of Lucy McAllister immediately.